As we ease into spring and the urge to be outside grows stronger, we invite you to join us on April 13 for a talk with Ryan Hanson of Duluth Pack, one of the oldest and most celebrated outdoor gear companies in the country. We’re excited to hear about the history, longevity, and handcraft that continues to define the Duluth Pack brand 120-plus years later. I was fortunate enough to catch up with him before he makes the trek to the Twin Cities to ask him a few pre-salon questions about his background and what it’s like working for such a notable company. Can you tell us a little bit about yourself and your background? What you do for Duluth Pack? What got you interested in the company in the first place? I’m originally from Maple Grove, but have called Duluth home since 2001, when I moved there to attend the University of Minnesota - Duluth. A few major changes later, I hit my stride, graduating with a degree in communications and journalism. I officially started at Duluth Pack in 2013. I was hired as the company’s first outside sales representative. I started with setting up our current corporate and dealer network, and was the primary contact for all new customers. I also spent a great deal of time on new business development through prospecting, cold calling, as well as qualifying and contacting leads from trade shows. Living in Duluth for many years, I was familiar with Duluth Pack, but mainly for their retail store. After finding an opening for the compan, and doing some research, the history of the company and quality of the product is honestly what I found fascinating. Duluth Pack is the oldest canvas and leather bag maker in the United States at 134 years old, and it has been in the same factory in Duluth, Minnesota, since 1911. Taking a tour for the first time, it was easy to see the pride and ownership that everyone took in making such a high quality product. After that tour – on my first interview – I was sold on the company, and I’ve been here ever since. What is it like working for a company with such longevity? It’s pretty surreal walking through our two-level production floor in a factory that’s more than a century old. I’m fortunate to have a continual reminder of that history with thick, worn, hardwood floors, exposed brick and pieces of machinery that are more than 100 years old. To be able to hold bags that are back for repair (originally made pre-1911) is amazing. Honestly, I love to geek out on a company that has a 134-year history. I mean, we sold bags to Abercrombie and Fitch in 1918 when they were still an outdoor outfitting company on Madison Avenue. How many companies have that kind of history? What are some of the ways in which Duluth Pack continues to incorporate elements of the handmade into their design process? Can you take us through the steps to creating a Duluth Pack bag? As we say: Our bags aren’t made the easy way, but they’re made the right way. Our bags start as vinyl templates that are hand traced onto our canvas, taking care to mark where hardware or rivets will need to go later in the process. They’re then hand-cut with scissors or a hand-steered jigsaw. If we’re making a leather bag, our leather cutters use aluminum templates to cut by hand from full cowhide or bison hides. Any extra leather that is too small for a bag is used to make smaller component pieces (leather rivet backing, logos, etc.). Once all pieces of the bags are cut, they will move into the sewing department. Each bag will be hand-sewn from start to finish, with binding, zippers, and snaps carefully added. We move next into the riveting department, where most bags will get either a foot-driven machined rivet or one that is hand pounded. After the riveting process, the bag is ready to head into quality control, and once approved, it's transferred to our distribution center, where it could be sent anywhere in the world. Every bag we make will have three tags on the inside: a “Duluth Pack, Duluth, MN” tag, a “Made in the USA, Duluth, MN” tag, and a tag that is hand-signed by the sewer that made the bag. Customers can then go onto our website and actually learn a little about the people that made their bag and send them a thank you email. We’ve found that customers love that extra connection with the craftspeople that make their bag. Beyond the obvious – I mean we are the land of 10,000 lakes – what makes Minnesota the perfect place to headquarter a company like Duluth Pack? How has Minnesota benefited from you being here? 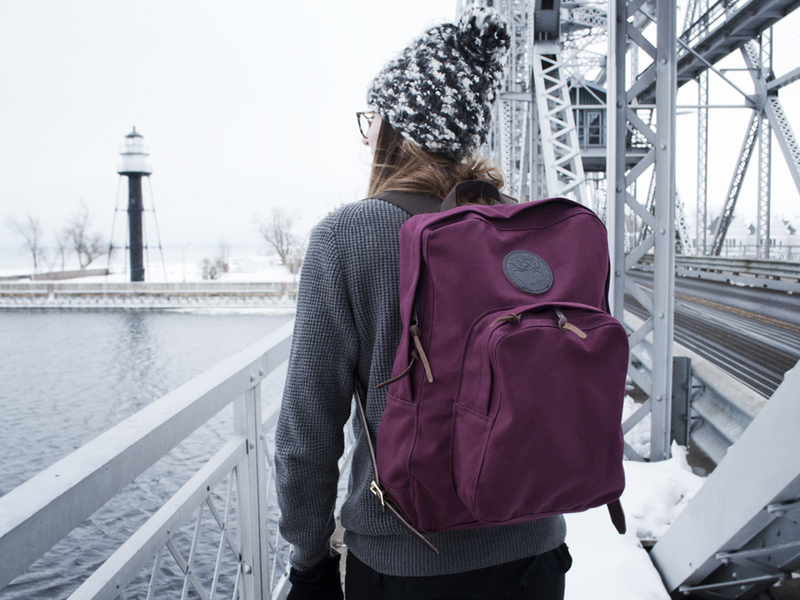 How has Duluth Pack benefited from Minnesota and its community? Minnesota, especially Northern Minnesota, is such a perfect place for Duluth Pack. Our history is in canoe packs that were designed specifically for people heading into the great outdoors and the Boundary Waters Canoe Area Wilderness (BWCAW). The area where we live has been and continues to be the same area where we play and test our new gear and products. We can’t imagine being anywhere else. Minnesota is also becoming very well known as a hub for handcrafted and time-honored manufacturing techniques. Whether it’s Duluth Pack, Red Wing Shoe Company, Faribault Woolen Mill, or any of the other great companies that are employing local artisans in Minnesota, we all reap the benefits. While Minnesotans aren’t a boastful bunch, we take a lot of pride in where we’re from. Whenever Duluth Pack posts a picture on social media with a Minnesota theme, we’re always overwhelmed with the support from people that grew up here, spent time here, or transplanted here. We’re honored that we’ve been able to be around as long as we have, and we're incredibly proud to call this state our home. I know it may be hard to choose, but can you tell us your favorite Duluth Pack bag and why? Is this a loaded question? My wife and I have something like 15 or so Duluth Pack bags, and honestly, it’s tough to not always be looking for our next one. With 275-plus products that Duluth Pack makes, it’s pretty easy to always have our eye on one or two. If I have to pick a couple favorites… my Roll-Top Scout Pack is amazing for day trips and biking, my Classic Carry-On is my go-to travel briefcase and overnight weekend bag, and any good Duluth Pack collection wouldn’t be complete without a canoe pack. My #3 Monarch Pack will see the BWCAW at least once this year. If I had my way, I’d be putting on a lot more miles in a canoe than on the road, but hey, when you work for the original canoe pack company, that’s considered work travel, right? 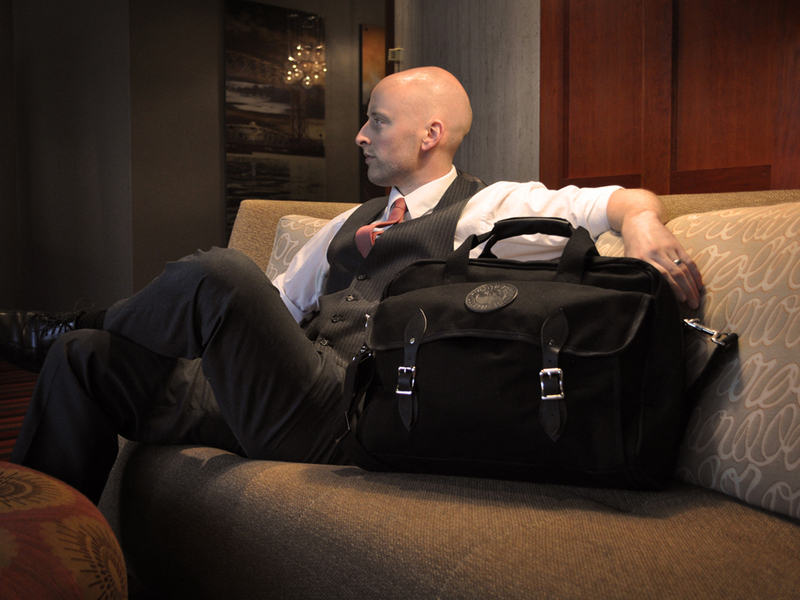 Don't miss our salon – In the Outdoors with Duluth Pack – on Wednesday, April 13, at 7 p.m. This event is free and open to the public. Presented by the American Craft Council, the Library Salon Series is a series of free public presentations exploring craft, making, and art. Check out past salon series events. Five Questions is a brief Q&A about books and craft, with people who love and use the American Craft Council Library.